In Prof. Felicia Huppert’s latest chapter entitled, “The state of well-being science: concepts, measures, interventions and policie”s, to appear in Interventions and Policies to Enhance Well-being (Huppert, F.A. and Cooper, C.L. (eds.) ), Prof. Huppert re-establishes the perspective that it is possible to demonstrate wellbeing even in the presence of a label of a clinical diagnosis. This aligns itself nicely with the argument which I have been advancing, that it is the possible to enhance the wellbeing of an individual with dementia through careful consideration of his or environment. For example, one could attempt to make the home or ward better designed, attempt to involve the individual with leisure activities or general activities (such as reminiscence therapy), seek to encourage adoption of assistive technologies or assisted-living technologies, or try to encourage more social activities including participation in a wider community. However, Huppert and So (2013), to establish what components comprise well-being, have examined carefully the internationally agreed criteria for the common mental disorders (as defined in DSM-IV and ICD-10) and for each symptom, listed the opposite characteristic. This resulted in a list of ten features which represent positive mental health or ‘flourishing’. These are: competence, emotional stability, engagement, meaning, optimism, positive emotion, positive relationships, resilience, self esteem, vitality. 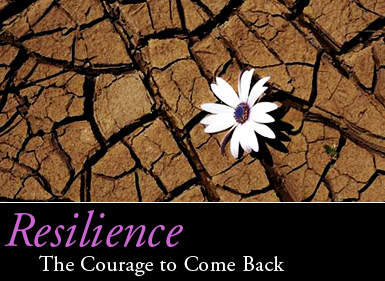 Psychosocial resilience is a dimension of wellbeing which perhaps will be worth considering in detail, of how an individual and immediates might be able to cope and adapt to future adversity. This indeed is reflected in a definition of psychosocial resilience as provided by Williams and Kemp (in press) as “a person’s capacity for adapting psychologically, emotionally and physically reasonably well and without lasting detriment to self, relationships or personal development in the face of adversity, threat or challenge.” Reaching a logical conclusion, whilst there might be aspects of life which encourage illbeing, a reasonable strategy might be to strengthen components which can help to improve specific aspects of wellbeing. This would not have been possible had it not been for the work of Prof. Felicia Huppert and colleagues emphasising that wellbeing is a multidimensional construct, in the same way that it is widely acknowledged that it is unhelpful to think of dementia as a unitary diagnosis. The Department of Health (2012) policy document, “No health without mental health: implementation framework” very nicely produces a backdrop for emphasising the importance of wellbeing in dementia. Their core principles are set out “a clear and compelling vision, centred around six objectives: more people will have good mental health, more people with mental health problems will recover, more people with mental health problems will have good physical health, more people will have a positive experience of care and support, fewer people will suffer avoidable harm, and fewer people will experience stigma and discrimination“. Notwithstanding this, it appears that the analysis of ‘living well in dementia’ is now benefiting from an approach which has led to an appreciation that no dementia is clinically the same; nobody’s wellbeing is exactly the same, because of the way in which all the contributing parts have come together. This approach is elegant, holds incredible promise for the future. Huppert, F. (in press) The state of well-being science: concepts, measures, interventions and policies, to appear in Huppert, F.A. and Cooper, C.L. (eds.) Interventions and Policies to Enhance Well-being, Oxford: Wiley-Blackwell. Huppert, F.A. and So, T.T.C. (2013) Flourishing across Europe: application of a new conceptual framework for defining well-being, Social Indicators Research, 110(3), pp 837-861. Keyes, C. L. M., (2002) The mental health continuum: From languishing to flourishing in life, Journal of Health and Social Behavior, 43, 207– 222. Marmot M. (2012) Health inequalities and mental life, Advances in Psychiatric Treatment, 18, pp. 320-322. McKee, M., Karanikolos, M., Belcher, P., and Stuckler, D. (2012) Austerity: a failed experiment on the people of Europe. Clin Med, 12(4), pp. 346-50, available at: http://www.rcplondon.ac.uk/sites/default/files/documents/clinmed-124-p346-350-mckee.pdf. Williams, R, and Kemp, V. (in press.) Psychosocial resilience, psychosocial care and forensic mental healthcare. In: Bailey S, Tarbuck P. (eds.) Adolescence Forensic Psychiatry, Cambridge: Cambridge University Press.